It’s the most wonderful time of the year… And it’s also time to find that special Christmas tree. Whether you’ve been doing it forever or are starting a new family tradition, here are some of the best Christmas tree farms near Exton and Warminster, PA. This locally owned and operated tree farm in Collegeville serves both residential and commercial clients. You’ll be able to choose and cut down your own fresh tree. Saws are provided, but you may bring your own if you’d like. Baling is no charge, and rope will be available to tie your tree. Tree types include Blue Spruce, Canaan Fir, Colorado Blue Spruce, Douglas Fir, White Pine, Norway Spruce, and White Spruce. Cutting your own tree is eco-friendly. When Christmas is over, put your tree outdoors and hang a small bird feeder, or cut the branches to lay over flower beds and protect plants. This cut-your-own farm is located in the heart of Chester County. Open for the Christmas season on the Friday after Thanksgiving, this farm is open Friday, Saturday, and Sunday until Christmas, with some holiday weekday hours, too. There are “choose and cut” trees, and pre-cut trees available. Varieties include Fraser, Douglas, Canaan, and Spruce, available from 3- to 20-feet tall. There’s also a Christmas shop, with Byers’ Choice® figurines and novelties, handcrafted carolers, snowmen, and ornaments. Don’t have a stand ready for your tree? Clark’s has a variety of sizes available, so your tree will stand straight and look great. Located just north of St. Peters Village, Westlake Tree Farms is a 160-acre farm and full-time agribusiness, with the only crops being Christmas trees and forest products. Tree species include Fraser Fir, Canaan Fir, and Norway Spruce. Once arriving at the farm, you’ll be welcomed by the warming Christmas spirit. You’ll be able to start the holiday season with the tradition of choosing a fresh tree. Get on the wagon, sip a hot cocoa, and take in the smells of the holiday season. When you’re done, don’t forget to stop at the Christmas barn to see Santa, check out the trains, and pick up some ornaments. Yeager’s closes out the year with their busiest season, Christmas. There are thousands of Christmas trees to choose from, including pre-cut and cut-your-own trees. If you’re cutting your own, you can walk out or take a hayride. A saw will be provided. Hayrides to the fields are available on weekends for no charge, with complimentary hot cocoa and hot apple cider inside the Christmas café. Don’t forget to check out the gift shop before departing. Pick up handmade wreaths and bows, or fresh garland. There’s a large selection of unique holiday gifts for everyone to enjoy! If you ask us, one of the best ways to get in the Christmas spirit is by picking up a fresh Christmas tree. Visit any of these great farms in the Exton or Warminster areas today to pick up yours! For program disclosure information, please go to www.autotraining.edu/consumer-information. This entry was posted in Community on by ATC. 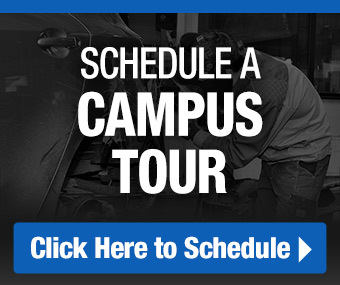 Take a tour of Automotive Training Center's campuses in PA and hear testimonials from recent graduates, and employers who have hired ATC graduates.